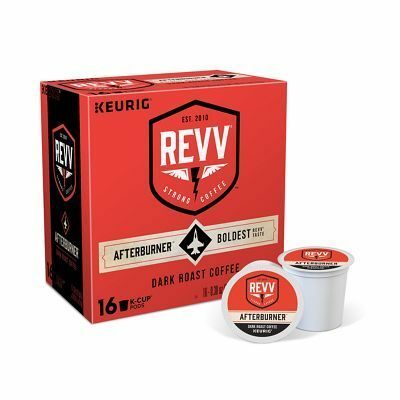 REVV coffee, part of the Keurig Green Mountain, Inc (Keurig) family of brands, is expanding its line with three intense, dark brews: REVV No Surrender, Afterburner, and Turbocharger K-Cup pods. 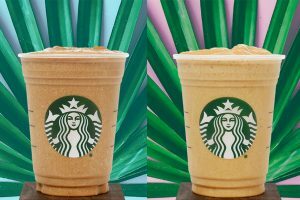 “REVV coffee is for all the early risers, all-nighters, daily grinders, and everyone who lives for strong coffee,” said Scott Moffitt, chief brand & beverage officer at Keurig, Waterbury, Vermont. REVV coffee is also joining forces with Purple Heart Homes; an organization dedicated to providing personalized housing solutions for service connected disabled veterans. Keurig is making a USD $50,000 donation to Purple Heart Homes to help renovate several kitchens for disabled veterans in need, as well as designing and donating a coffee corner equipped with REVV K-Cup pods, a Keurig coffee maker, and accessories in each renovated kitchen. To coincide with Veterans month in November, REVV and Purple Heart Homes will share updates on the progress of the kitchen renovations through Keurig social channels. “REVV is all about strength, and no one is stronger than our nation’s Veterans. We are so moved by the meaningful work Purple Heart Homes is doing for our nation’s heroes and are honoured to be partnering with them to provide newly renovated kitchens where veterans can start each day with a great cup of REVV coffee,” said Dan Tifft, brand manager at Keurig. 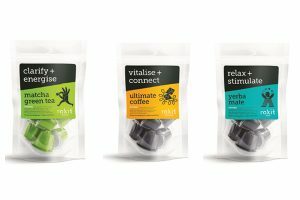 In addition to introducing the new varieties, the packaging for REVV coffee has been upgraded, featuring bold colours and energizing symbols. NO SURRENDER – SMOOTHEST TASTE: A bold and “battle-ready” dark roast. AFTERBURNER – BOLDEST BLEND: A rich, smoky, dark-roast. TURBOCHARGER – DARKEST ROAST: An extra bold, robust, intense dark roast. The new REVV K-Cup pod varieties are now available at retailers nationwide. REVV K-Cup pods have a MSRP of USD $14.99 for a 24-count box. Purple Heart Homes is a 501(c)3 founded by Dale Beatty and John Gallina, two Iraq combat-wounded Veterans who remain on a mission to provide housing solutions to Service Connected Disabled Veterans and their families. Driven by the belief that no Veterans should be left behind, Purple Heart Homes, together with the community is committed to ensuring quality of life solutions for disabled American Veterans of all eras. For more information, visit: www.phhusa.org.